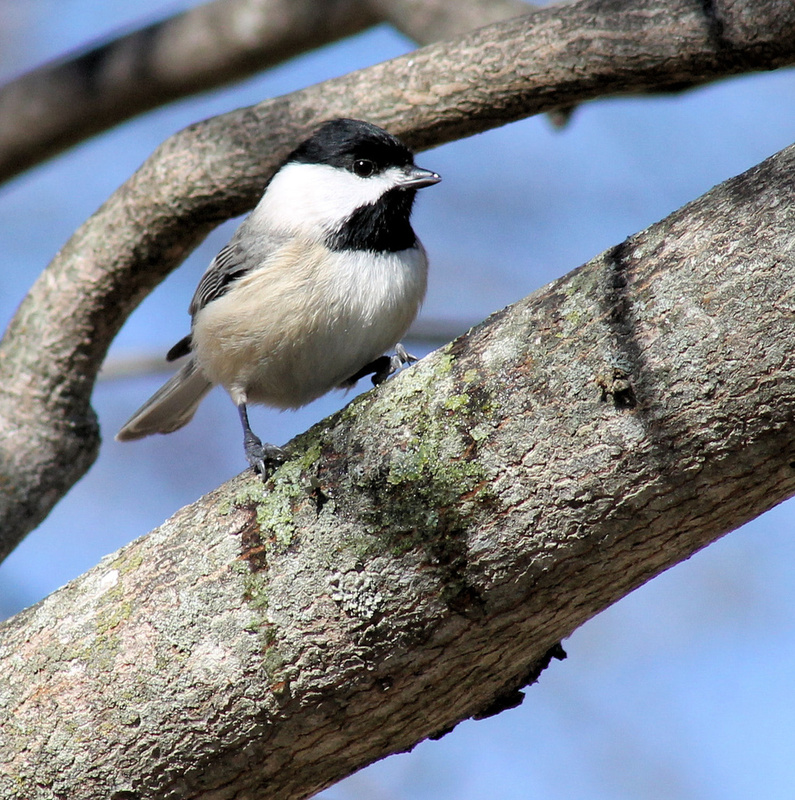 I wish I had the energy the Chickadees seem to have. I rarely see them rest. This one had been drinking sap from the tree and didn't stay still for very long. Such a wonderful close up. You must have been pretty close. Nice detail throughout. they are so so so cute. I have trouble getting a pic of one. They get on the deck, get a seed, fly off to a tree to break the seed...so no pic! Beautiful capture of a beautiful bird! Great capture. He's posing for you.